How three of the top perfumers - Christopher Brosius, Hermes's Jean Claude Ellena and principal of the Parisian school, Jean Guichard - go about their business. Perfumers are molecular chemists and sensual creatives who seek to trigger pleasurable memories and associations through our most primitive sense. 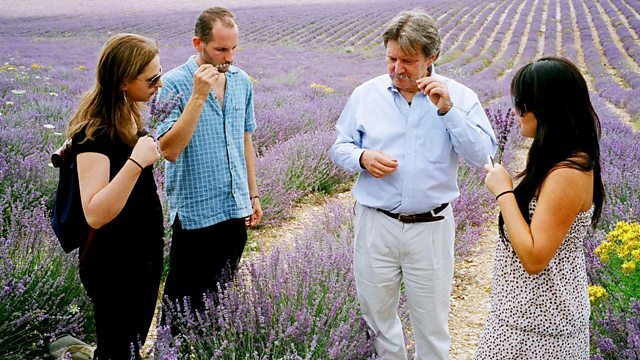 We follow three different types of perfumer - or nose - to find out how they do it and what it takes to become one. Jean Claude Ellena is in-house nose at French brand Hermes. We spend time with him in his studio in the woods, musing, sniffing and then creating a fragrance inspired by a secret garden. American Christopher Brosius is the Proust of perfume, a punk star with a mission to create scents that that can speak to us of times past - whether through the smell of tomato leaves or musty books. Jean Guichard is the principal of the Parisian school for noses. There are more astronauts than there are perfumers - so how does he spot the right stuff in students who may not be aware they have it?